A toothache is nothing funny as often, it affects other parts of your body. The pain varies from mild to excruciating. You might feel soreness on your teeth, gums and jaws and might even suffer from a head and ear ache. It is still advised to seek medical attention immediately to check the causes of your toothache. On the other hand, if the pain is mild, there are also home remedies for toothache you can try. There are several home remedies for toothache regarded as effective in alleviating pain. Some might be easier to take than others due to the nature and characteristics of the natural ingredients. Salt in warm or tepid water is the most common home remedy for a toothache. It is even frequently used as a gargle because of several reasons. Salt has anti-bacterial and anti-inflammatory properties. It is also a great analgesic and can numb the pain of your toothache. A close second as a natural remedy for tooth pain is pepper. It has also effective analgesic properties. Pepper is highly curative in nature and although its hot flavour can probably put you off, it is a good analgesic for a toothache. Crush a few peppercorns and apply it directly on the affected tooth. You can also mix it with salt water. 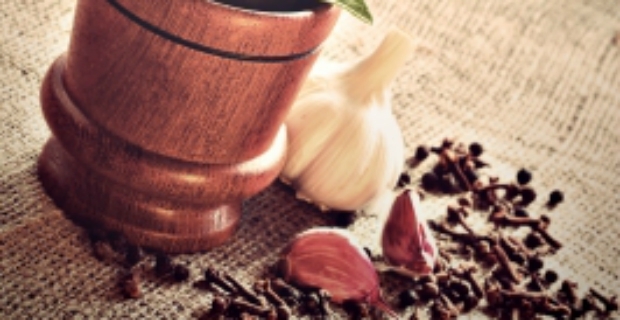 Crush a clove of garlic or use garlic powder and apply it directly on the tooth giving you pain. Garlic has both anti-bacterial and anti-inflammatory properties that can help alleviate pain. You can also pulverise 2-3 pieces of cloves and apply it on the affected area. For better consistency, you can put a few drops of olive oil with the cloves. Cloves are great in numbing pain sensation and even have anti-oxidant properties. Use powdered asafoetida and mix it with water or oil. Apply the solution on your tooth for relief. A toothache may or may not be something serious other than normal cavities, rotten tooth or a loose filling. However, there can be other reasons why pain is present such as a gum disease or a jaw disorder. Hence, even when resorting to home remedies for a toothache, make sure that you stilll see a dentist to have your teeth and gums examined by a professional. It never hurts to be extra careful.